Cressida Cowell’s new book The Wizards of Once is now available. As mentioned in a previous post, the author’s How to Train Your Dragon book series was a big inspiration for my son’s reading. His imagination was set soaring by the viking and dragon adventures. He even decided to use the nickname Toothy after reading about the adventures of the pesky but cute little dragon Toothless. Like How to Train Your Dragon, The Wizards of Once contains delightful, detailed drawings and maps drawn by Cowell. It’s easy for children (and admittedly adults too) to get caught up in the fascinating worlds depicted. The Wizards of Once is a story of magic and dark forests in ancient Britain. Xar and Wish are a boy and girl who are from different and opposing backgrounds. One a Wizard and one a Warrior. The Warrior’s have invaded the Wizards homeland. The Warriors are determined to put an end to magic while the Wizards are determined to defend it. The Warriors have come to the conclusion that all magic is bad having dealt with those using bad magic. Set in a fantastical past, the book shows us a realistic and familiar scenario of prejudice bred from generalisation and conflict. A parcel with the brand new book arrived from Toothy’s grandad yesterday. So we are looking forward to getting reading and finding out more. As we read on we will have to see if the two main characters can break down the barriers between Wizards and Warriors when they must work together. Cowell started to write about vikings and dragons as a child. 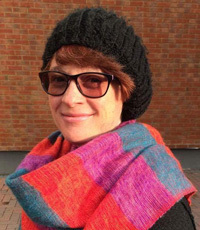 She could imagine dragons living in and around the small Scottish island her family visited regularly. From this inspiration came the How to Train Your Dragon books, featuring unlikely hero Hiccup, and his tiny dragon Toothless. For the settings of her new book, Cowell looked back to magical places in Sussex which she explored as a child. “Of course, a sprite would live in this tree”, she says standing next to a gnarled and twisted old tree in this BBC video. It’s fascinating to hear from her about the locations and details that influenced the landscape of The Wizards of Once. Exploring and playing in wild places like forests or fields will fuel children’s imagination. I remember when I was a child playing on the rocky headlands by a beach in the Isle of Man. My sister, my friends and I would play a game of Viking raiders. With imagination, we could easily transform the natural rock formations to the huts of the local Celts, or the great halls built by the Viking conquerors. I had a sense of déjà vu of this scene yesterday. While on a play date my son and his friend set up a makeshift throne and banqueting table to create a Viking hall in the living room. While she sat on the throne as a ruler, he enjoyed a warrior’s banquet. As city dwellers, it’s reassuring to remember that children’s imaginations can be used anywhere. So we need not despair if we don’t have a forest or a beach on our doorsteps! Even so, Cowell’s incredible fictions and the stories of the places that inspired her to write them, definitely make me want to get out into nature more. Have your kids read Wizards of Once or other Cressida Cowell books? What did they think? Let us know in the comments below. 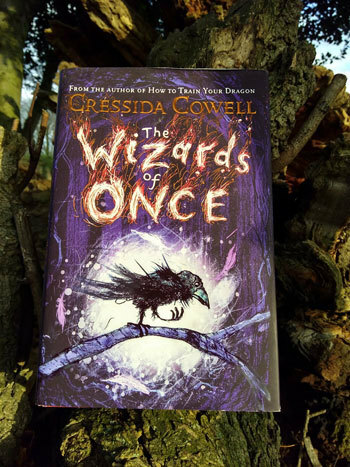 Click the following links to check out prices for Wizards of Once and other Cressida Cowell books on Amazon. Kids books series that have been around for a few years – such as The How To Train Your Dragon books – can be great value and available at low prices. So we really like to keep an eye out for them. Children can start reading these at a later date than their release when they are the right age to enjoy them. And be assured they are just as special as when they were first released! For more great books series to check out click here.